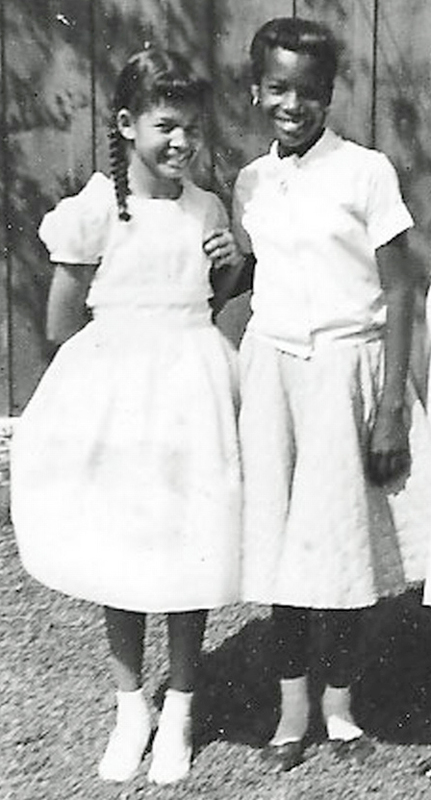 Pat Christopher and I met on the first day of first grade (1953) in Ms. Petty’s class at Irving School. We’ve pretty much been best friends since day one, when Pat came over and asked me for some candy I was eating – close to 56 years. It was late 1985. 1986 would be our 20th Anniversary of High School Graduation. Pat and I were eagerly awaiting the Poly High class reunion. We had called the school to inquire but there was no information available about whether there would be a reunion. Although our mothers still lived at the old address, Pat was in Cincinnati working for IBM and I was in the Washington, D.C. area in active duty in the Army. I can’t even tell you who thought us the idea. We discussed how few of our black friends attended the 10 year reunion and how we wanted to see people from a year or two ahead and behind us, too. One of us said we should plan our our reunion…we’ll have a neighborhood reunion. And that was that. We had no lofty goals. We simply wanted to get back together with childhood friends and neighbors and recapture the joy and camaraderie of the community we had grown up in. In early 1986, we sent out flyers to all of the old crowd we could find asking if they would be interested in getting together. We included a short questionnaire for them to return to us and ask them to forward the information to other friends they were in contact with. The response was tremendous and we proceeded with the planning. It was a night of laughter and hugs and reminisces and the happiness of seeing old friends again after so many years. The parting sentiment of the party-goers was “Let’s do it again next year!”. The next ones were held about 1990 and 1993.